Based on the Light Novel of the same name. 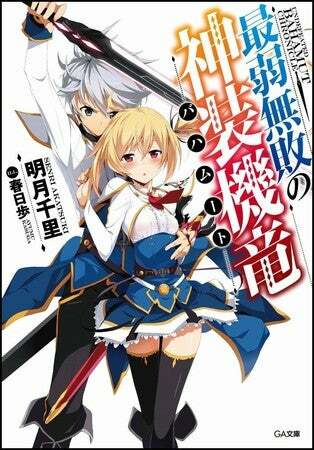 Kadokawa has revealed by a Video that the Light Novel Series “Undefeated Bahamut Chronicle” will get an Anime Adaptation. This is to Commemorate the 10th Anniversary of GA Bunko. The Story is as Follows ( Proprs to Anime News Network). Writed by Senri Akatsuki and with the art of Ayumu Kasuga (Jokamachi no Dandelion) The Novel started on 2013, and on June will get its 6 Volume.